My first post here, still trying to get how to make a good question because most of the answers are a little subjective. anyway. I'm having a issue close to this others, but none of the others has a answer that fit for me. 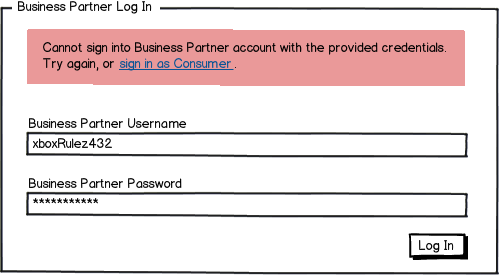 My problem is I have a app with Business and Clients login, but we really don't wanna use this names (B2C). 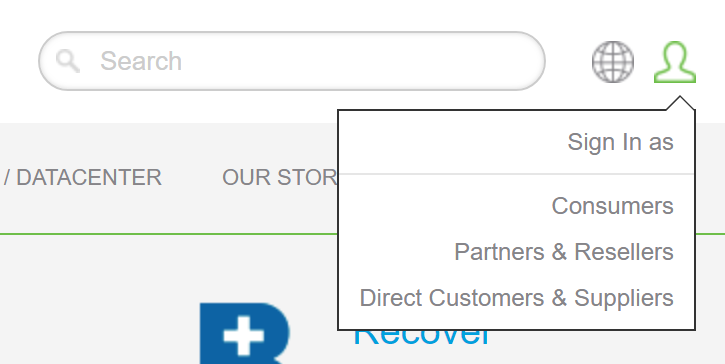 So for business we are using Users Pro (or Providers) but for Clients still don't get the right name. Already thought about members, companyName+Ers. And "user" I'm trying to avoid because the Providers are users to. Seagate uses the idea of having users "sign in as" a certain type of account. Ensure users recognize what type they're trying to sign in to. I've never had any issue recognizing that I'm a "Consumer" and should sign in as that type, but I have had an issue with somehow winding up on another user type's login page (perhaps through a Google search). I attempted to log in a few times before I realized that I'm not where I should be. I'd recommend that you highlight the type of account your users are attempting to log in as after a failed login so that they have a chance to fix this issue as quick as possible. What about Business/Company login and Individual customer/Private user? Not the answer you're looking for? Browse other questions tagged user-behavior username or ask your own question. What is a good name for non-administrator users? Differentiating between 'register your business' and 'register yourself as individual' - best practice? If guessing a display name, what kind of confirmation is needed?